Pupils at Bishopton Primary School are getting back into the fitness habit after the festive break. While many are putting their New Year’s resolutions into practice, P7 pupils have already started their challenge to walk the same distance as some famous Scottish landmarks. Building on their existing School Daily Mile challenges, the class will total up the miles they have walked or ran and compare them with various locations around Scotland. Previously, pupils have taken part in three School Daily Mile challenges – brisk walking; running and walking a lap alternatively; and finally, non-stop running. 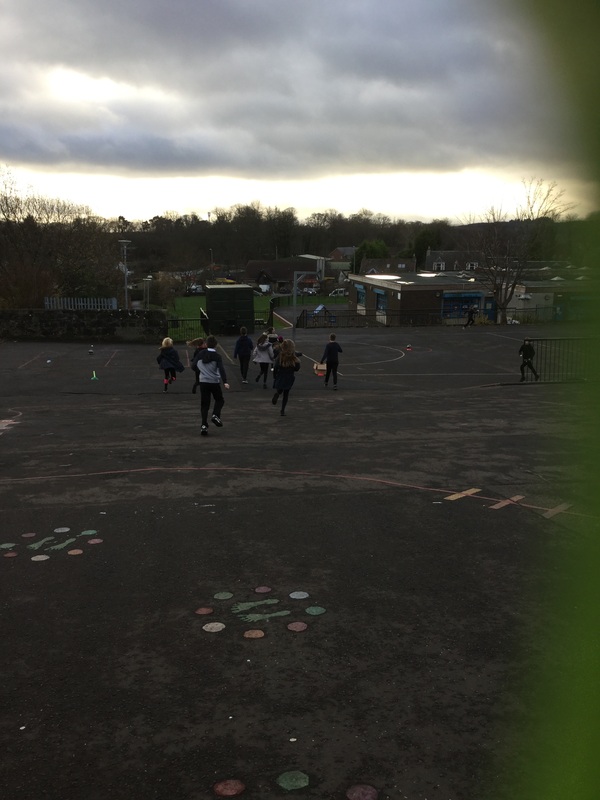 Headteacher Wendy McNaught said: “P7 pupils have been taking part in the School Daily Mile challenges for a while now and we thought we would start off the New Year with a new and ambitious goal – to walk around Scotland. The School Daily Mile has been shown to improve interest in health and wellbeing as children grow up and even increase concentration and attainment levels in primary school. Convener of Education and Children’s Services at Renfrewshire Council, Councillor Jim Paterson, said: “Health and wellbeing is an important part of school life. All pupils are encouraged to take part in healthy activities and this has a significant impact on their general wellbeing and their performance at school.